Since 2011, Indiana has paid $2.83 million in legal fees to the American Civil Liberties Union following the group's successful challenges to unconstitutional state laws. 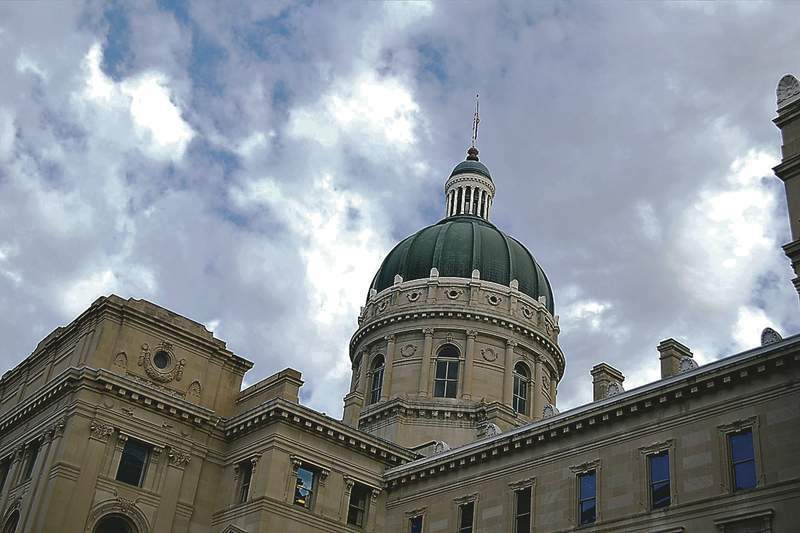 “Indiana Constitutional Law” is the topic of a continuing legal education course scheduled for Wednesday at the Indiana Statehouse. Registration is free for members of the Indiana General Assembly, but the $75 fee for other participants would be worth it if it made even one lawmaker think twice about filing unconstitutional legislation. Since 2011, taxpayers have been saddled with more than $2.8 million in legal fees for laws the American Civil Liberties Union of Indiana has successfully sought to overturn. The bill doesn't include costs related to the ACLU's latest win, a ruling on a 2016 law restricting abortion rights. A federal judge last month struck down portions of House Enrolled Act 1337, which would have prohibited abortions sought solely because the fetus was diagnosed with a potential disability such as Down syndrome. Indiana Attorney General Curtis Hill said he will appeal the judge's permanent injunction against the law, which means the legal tab could grow if the ACLU, which filed the suit on behalf of Planned Parenthood of Indiana and Kentucky, prevails. The Times Media Co. reviewed state auditor records of legal fees paid to the ACLU in recent years. As an incentive to challenge potentially unconstitutional statutes – and as a deterrent to frivolous lawsuits – federal law authorizes judges to order a plaintiff's legal fees covered. That has allowed the ACLU to recoup legal costs challenging recent abortion laws and the ban on Syrian refugees sought by then-Gov. Mike Pence. “The legislature is free to do what the legislature does. But legislators took an oath, like I did, to uphold the Constitution and the laws of the United States,” Indiana ACLU legal director Ken Falk told the Times' Dan Carden. The attorney general defended his decision to appeal the ruling. But there were concerns about the bill, authored by then-Rep. Casey Cox, R-Fort Wayne, before it became law. Several female Republican lawmakers who generally support pro-life legislation objected to the bill or the manner in which it was advanced – without a review of its final language by a House committee and without public testimony. Of 22 women in the House, 17 voted against HB 1337. Pence signed the bill and it was immediately challenged. Tax revenue reported Friday finds the state falling even further behind estimates at the end of the fiscal year's first quarter. Total tax collections are off by $107 million, with sales, corporate and individual income taxes all falling short in September. Corporate taxes alone are nearly $89 million below estimate. But continuing court battles show state officials unconcerned by growing legal costs. As lawmakers prepare for the coming session, taxpayers should hope they heed a previous governor's call for “a truce on so-called social issues” and instead focus on constitutionally sound measures focused on Indiana's economic health.